After three years of growth in business, I am so grateful and humbled to announce that Lauren Perry Studio is hiring a Studio Assistant! 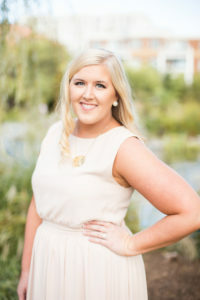 I hope to continue to grow Lauren Perry Studio by finding someone who has a heart for etiquette and southern traditions and loves Lauren Perry Studio’s mission and goals as much as I do. Lauren Perry Studio is seeking a Studio Assistant as a part time, paid independent contractor position. You will have the ability to choose your own hours, based on what works best for you! The required hours will vary based on the typical seasonal demand, but to start would be an average of 5-10 hours per month (with the opportunity to increase). This Studio Assistant is a marketing/administrative assistant position, not a calligraphy position. If you are a calligrapher or aspiring calligrapher – that’s certainly wonderful, but is not required for consideration. I do not currently have plans to hire an assistant calligrapher, however I guess you should never say never! Applicants must be self-starters, motivated and excited to learn. As a Studio Assistant, you will be asked to keep track of your own hours, and will be paid hourly. Hourly rates between $10-15/hour will be negotiated based on level of experience, and skill set of the chosen candidate. You will be involved in a variety of tasks including assisting in scheduling Instagram posts through Planoly, preparing blog posts and newsletters, as well as helping with LPS’s presence on Facebook and Pinterest. Additionally, you will be asked to help with streamlining client workflow and experience. If you are interested in this position or know someone who might be, please thoroughly read the guidelines below! – marketing or administrative assistant experience is a big bonus, but not required! – learn what it takes to run a successful small business while still working a full time job! – a bubbly, excited person to work with that will likely send you e-mails with lots of !!!! – photography experience (or a desire to learn) to capture and create content for social media – this doesn’t have to be on a professional level, great iPhone pictures work! – this position can be held by someone local in Norfolk, VA or wherever! – start date is flexible, but I’d like to have someone who could start soon! – It’s really important to me to find the right person for this position, not just a person. So, I will wait to hire if need be to find the right fit for the team! If you feel that you meet these qualifications and are excited to work with me, please click here to fill out an application! All applications must be received by 11:59pm on Wednesday, December 12, 2018. I cannot wait to talk to you!